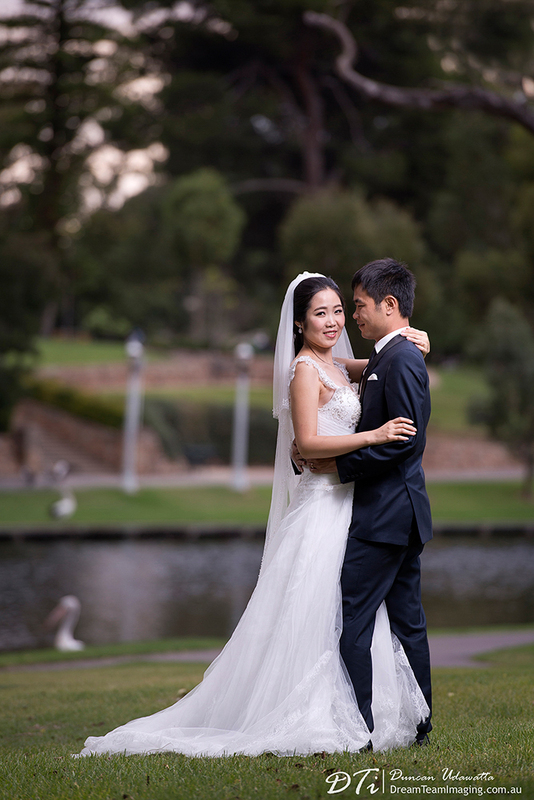 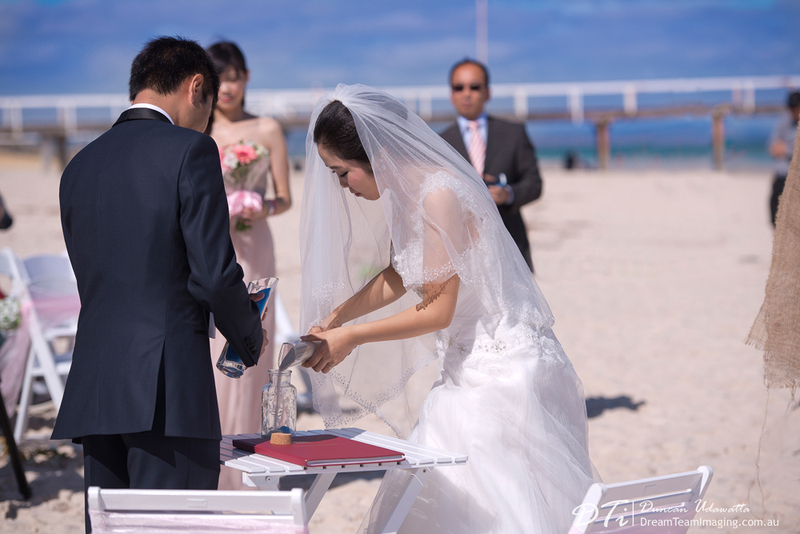 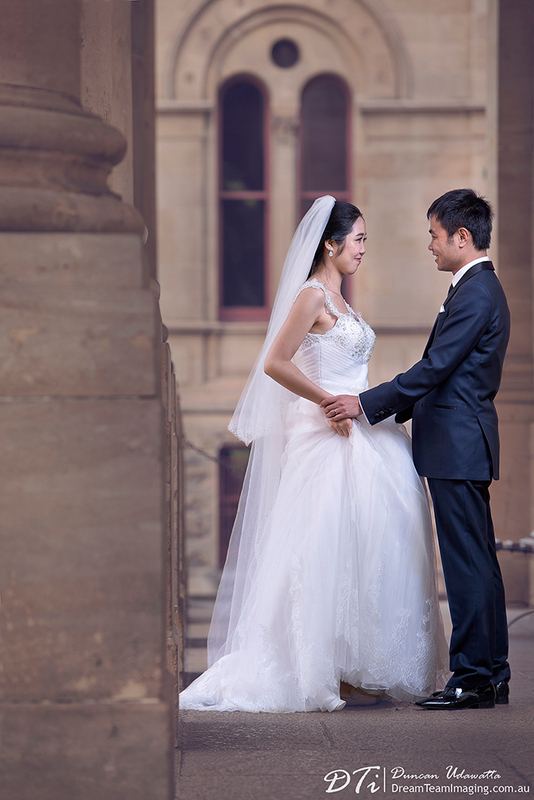 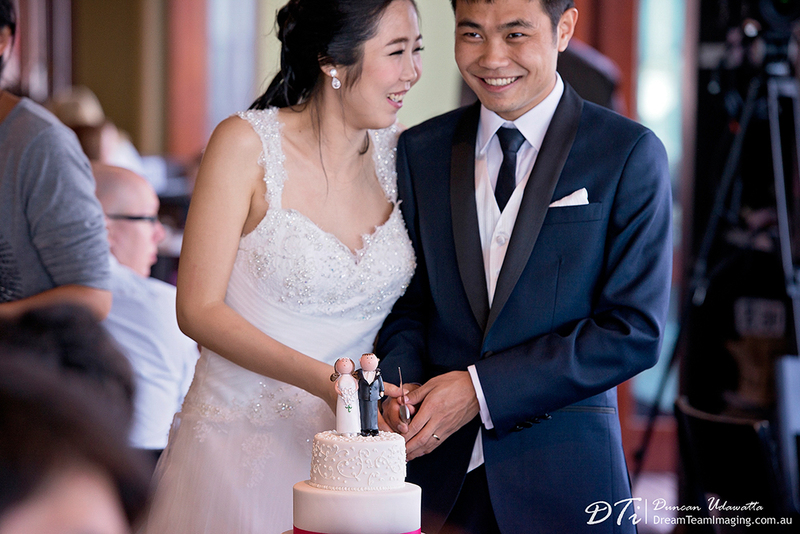 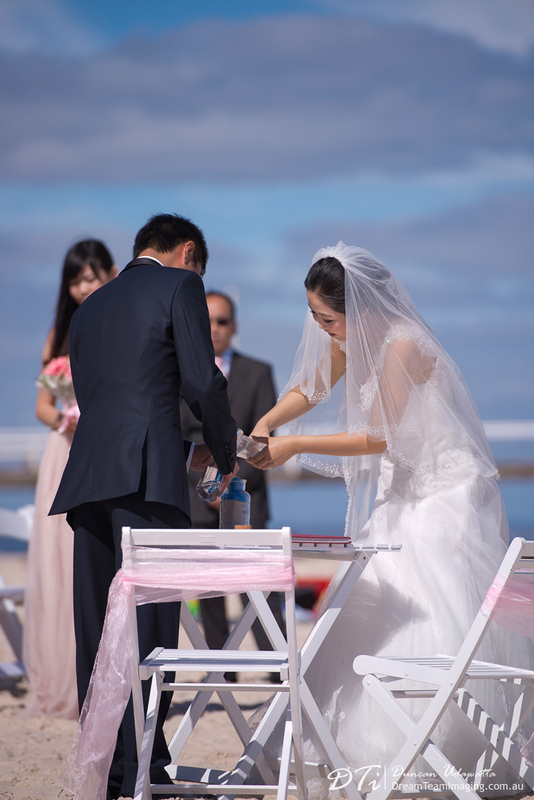 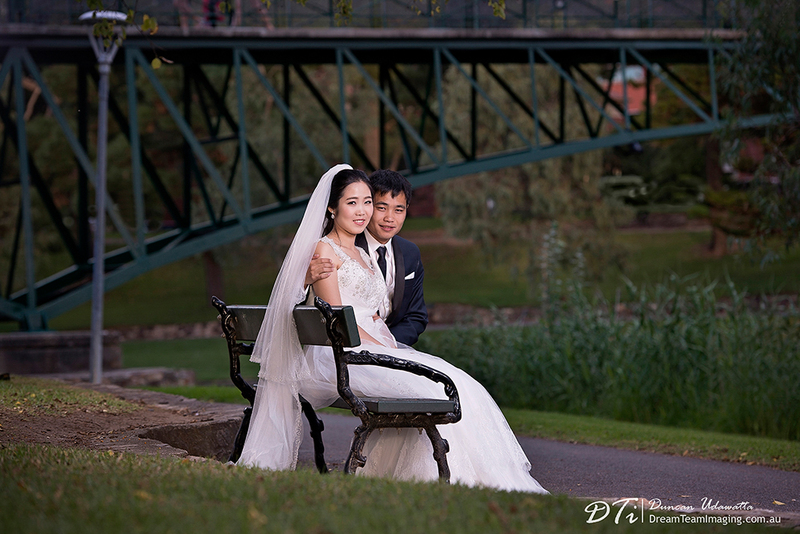 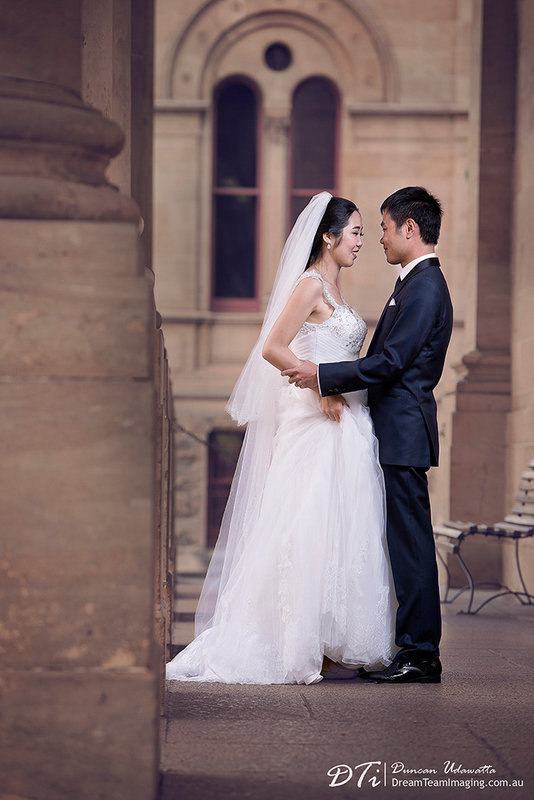 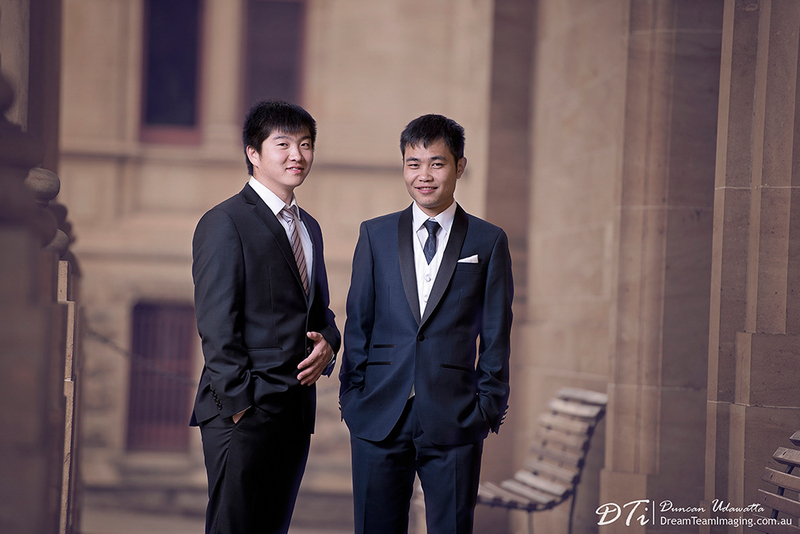 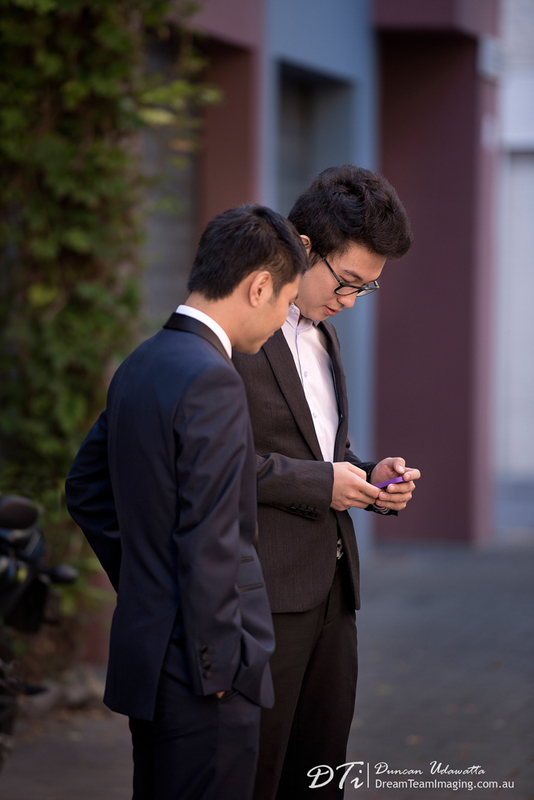 Having known each other since school, 13 years later, Wen & Rui tied the knot on the 13th of April. 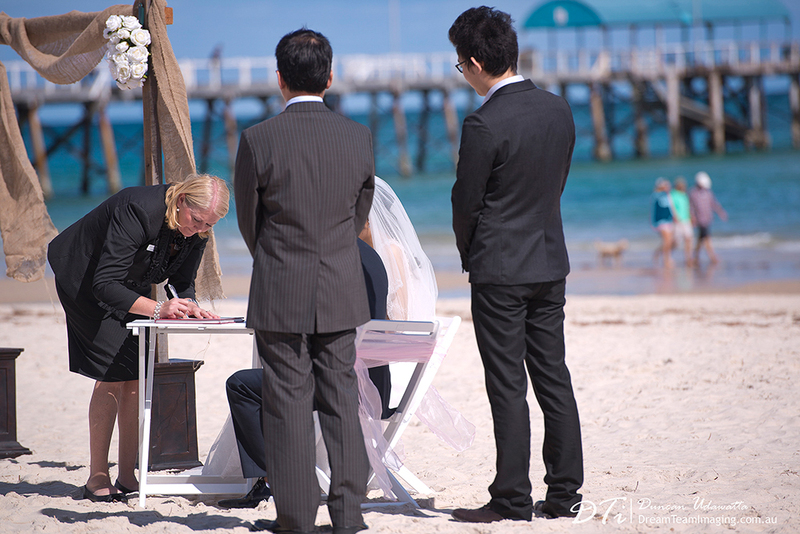 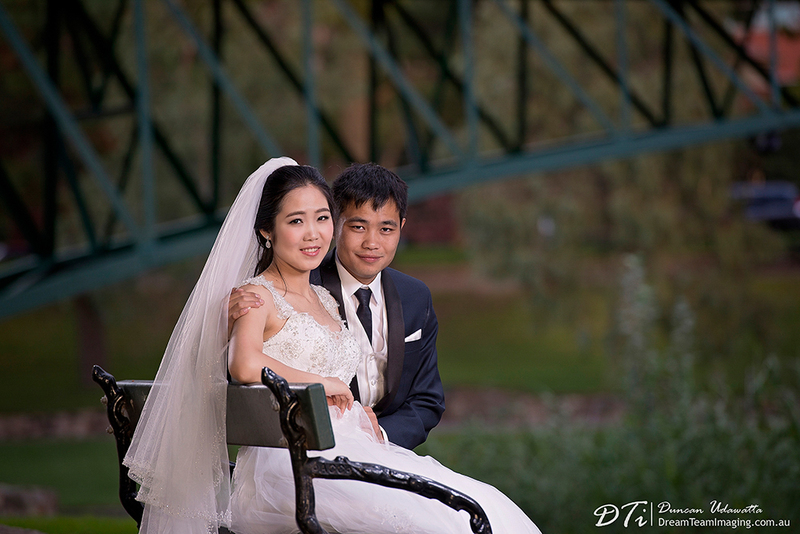 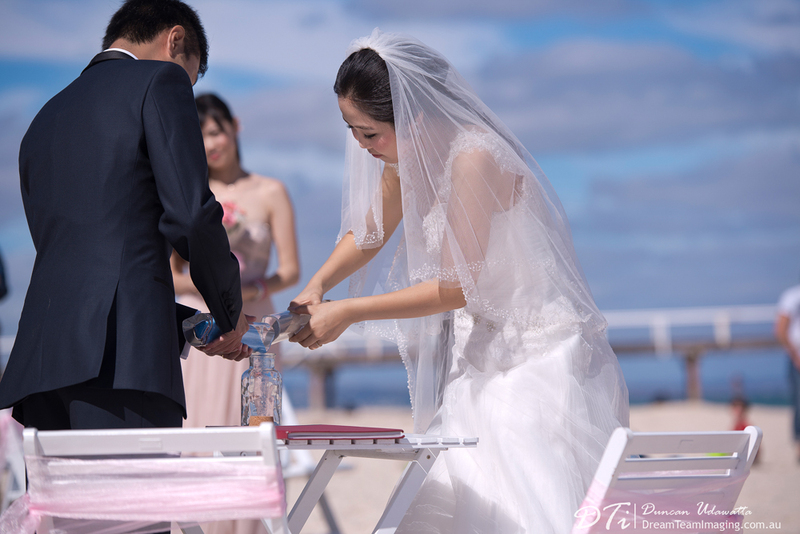 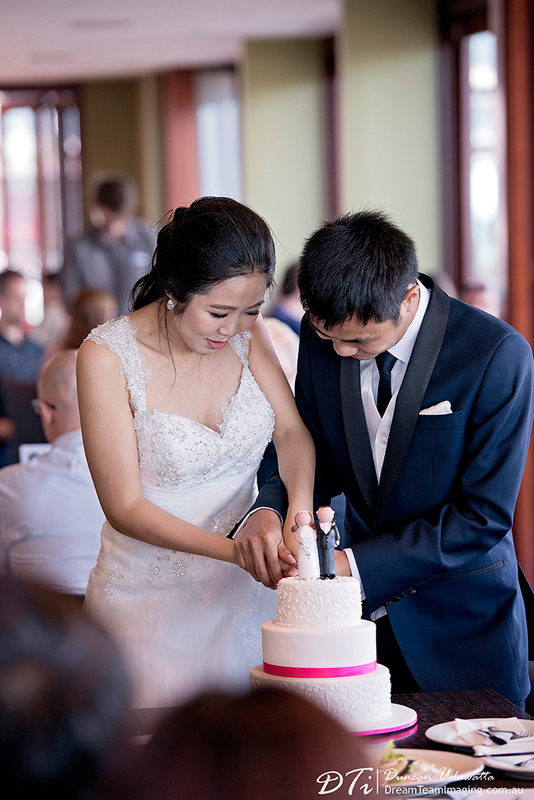 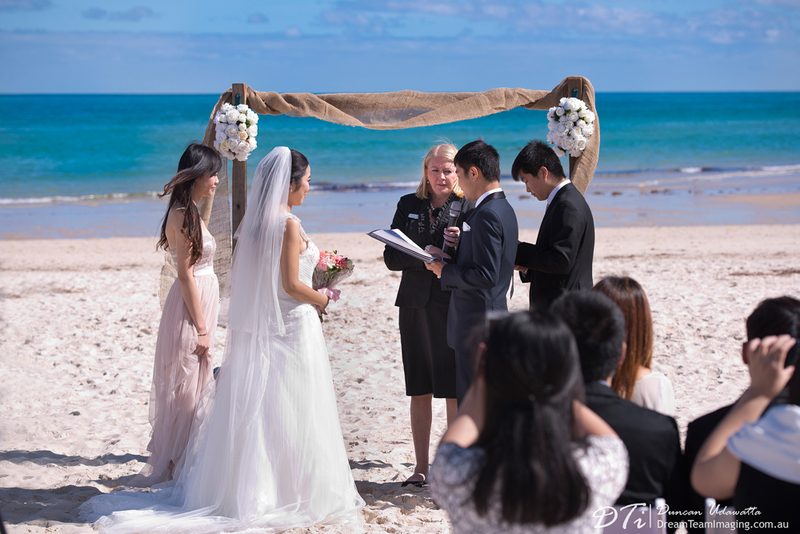 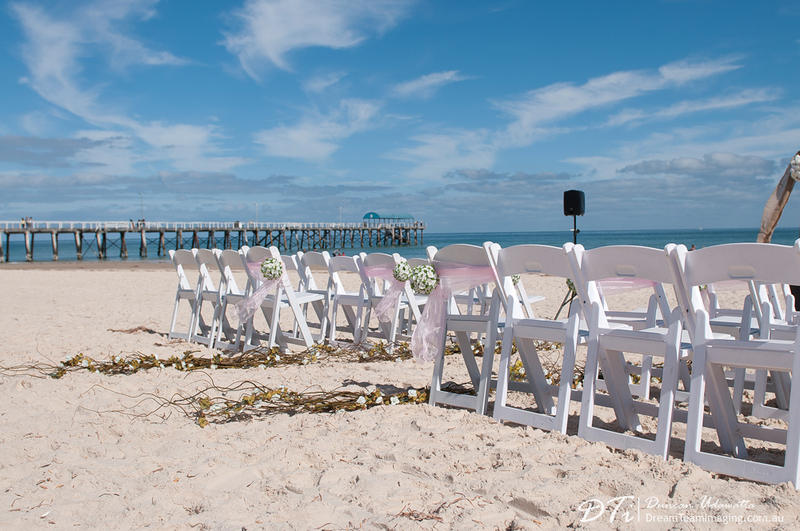 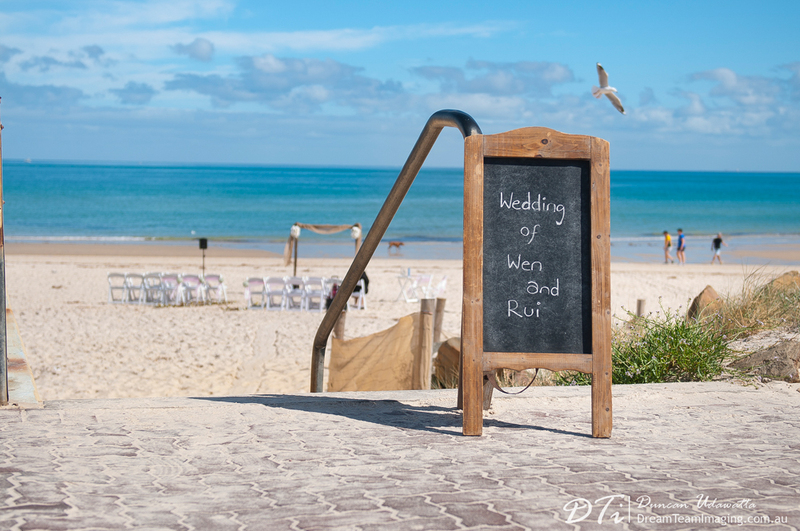 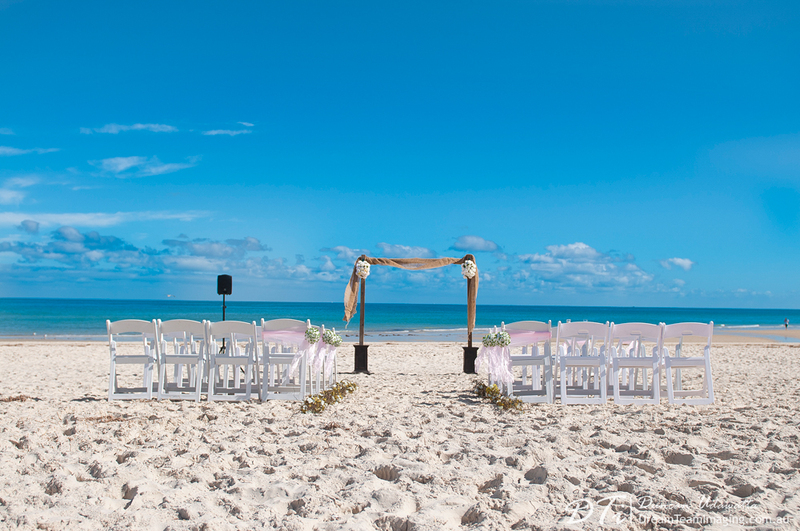 A wonderful sunny sunday morning, Henley beach was the setting for their wedding. 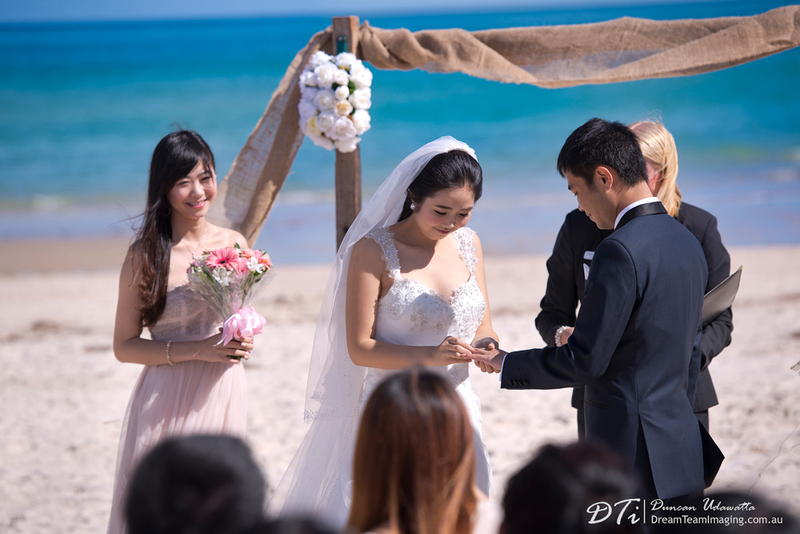 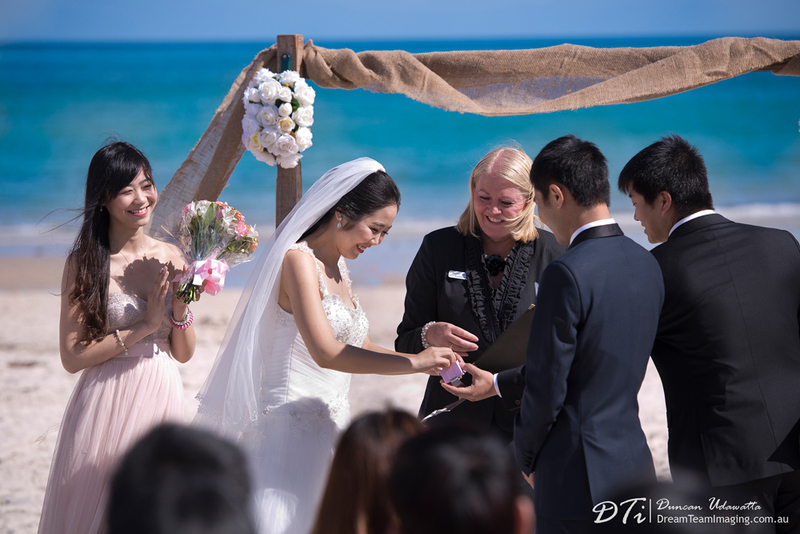 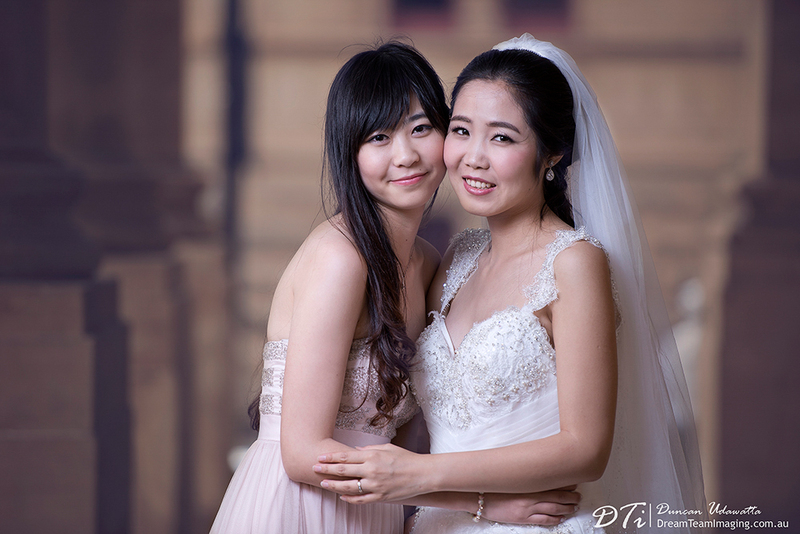 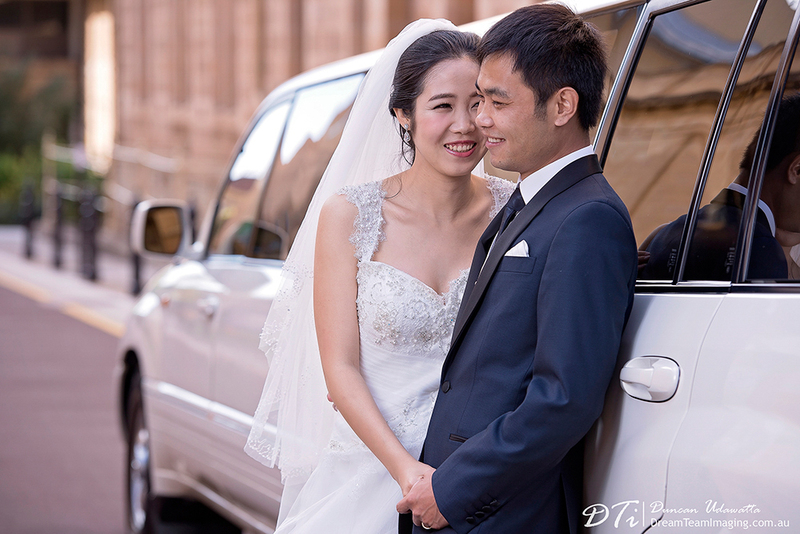 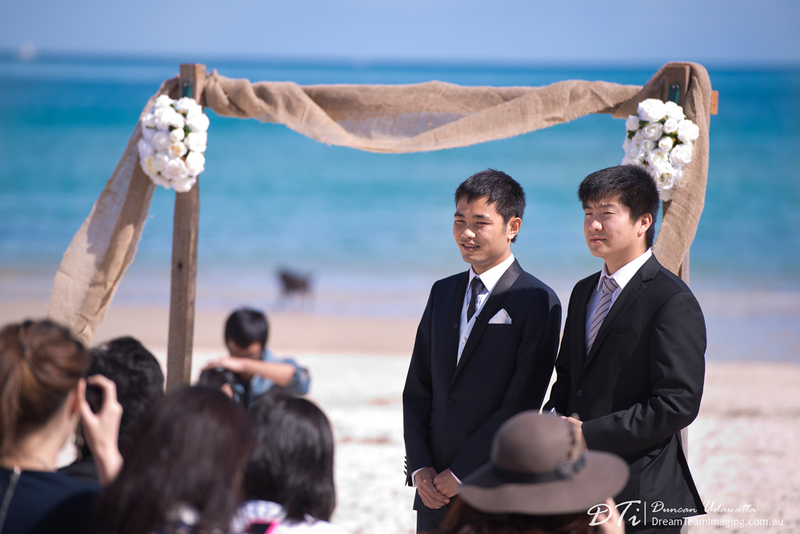 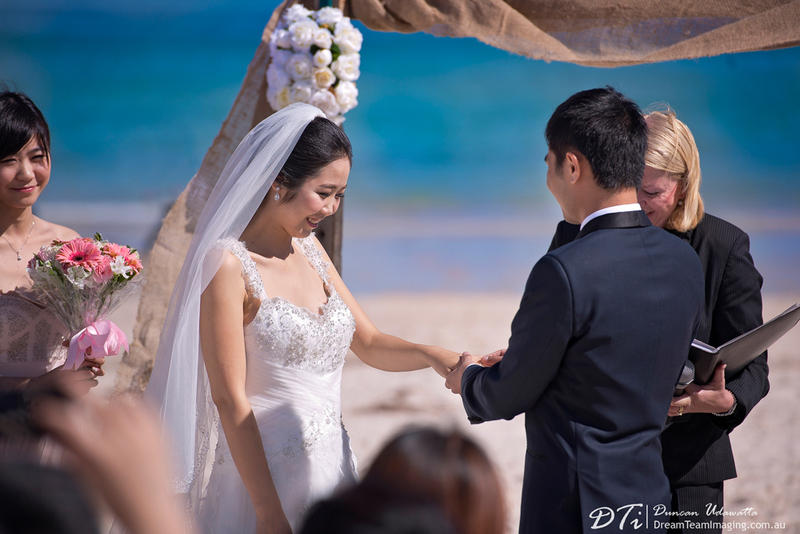 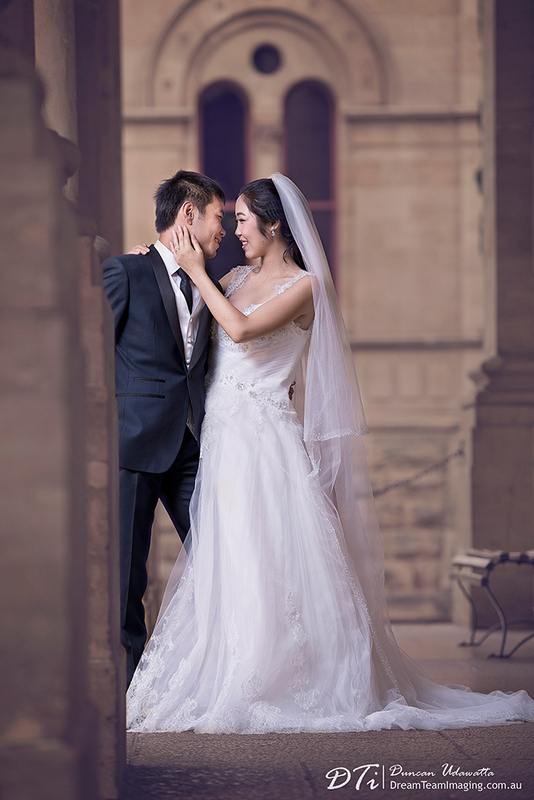 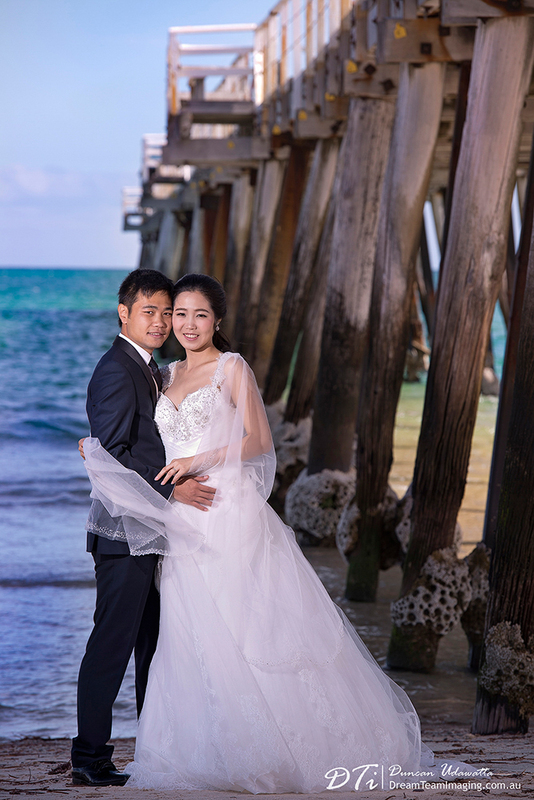 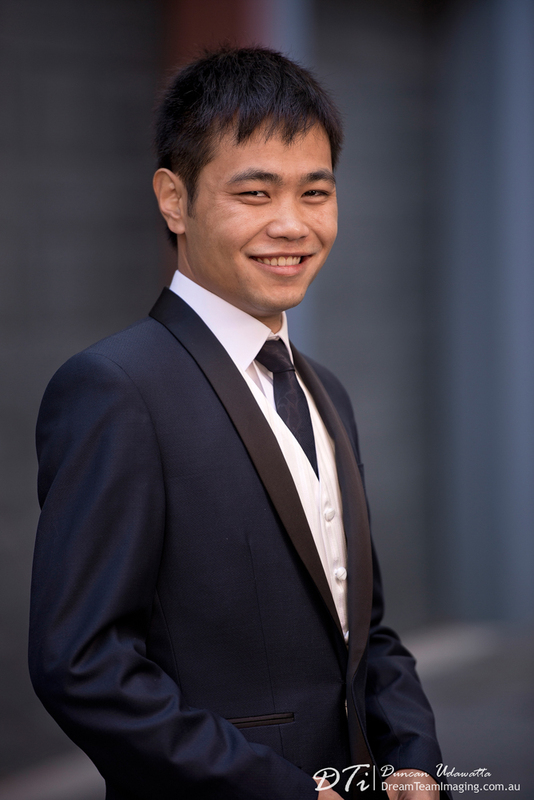 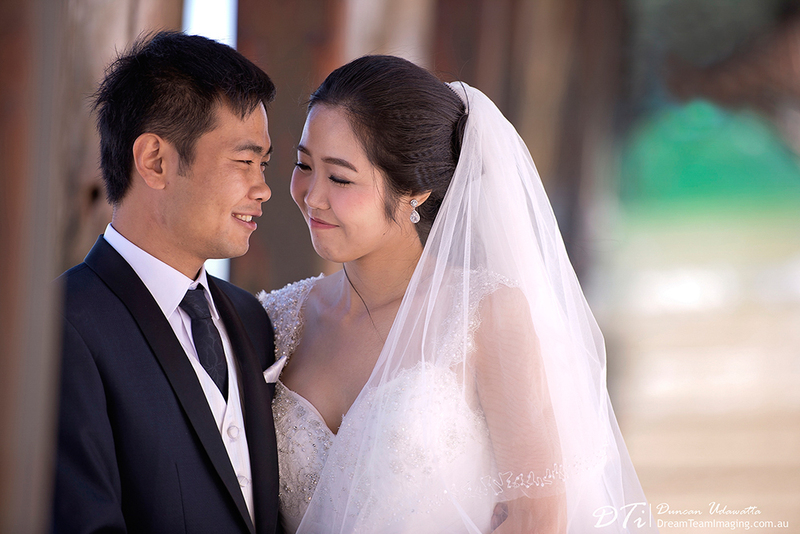 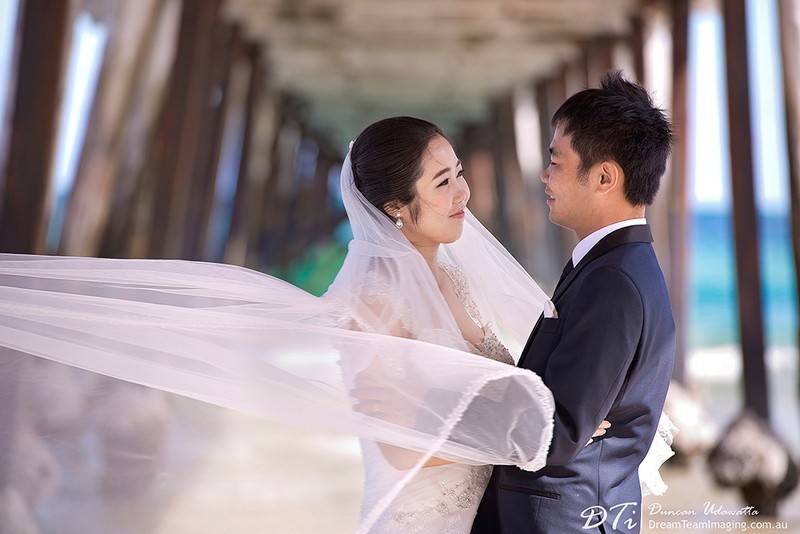 With a cool breeze blowing across, waves crashing in the distance and well wishers witnessing this union, Wen & Rui was united as husband & wife. 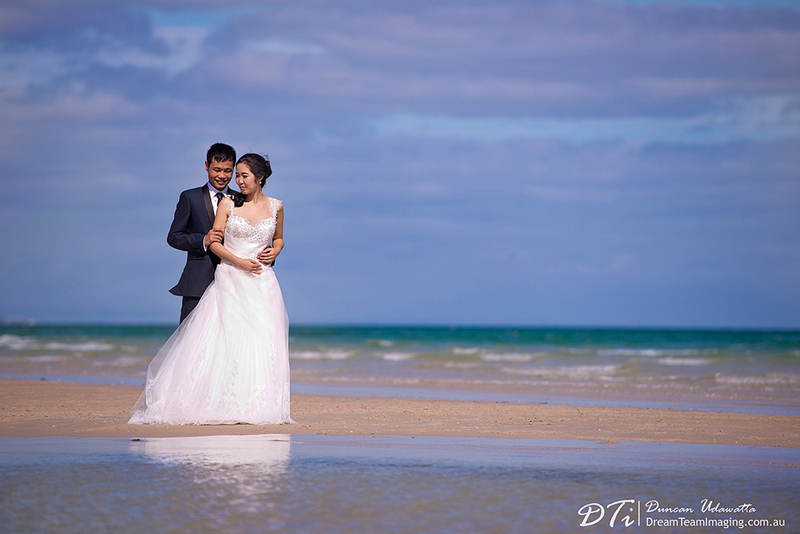 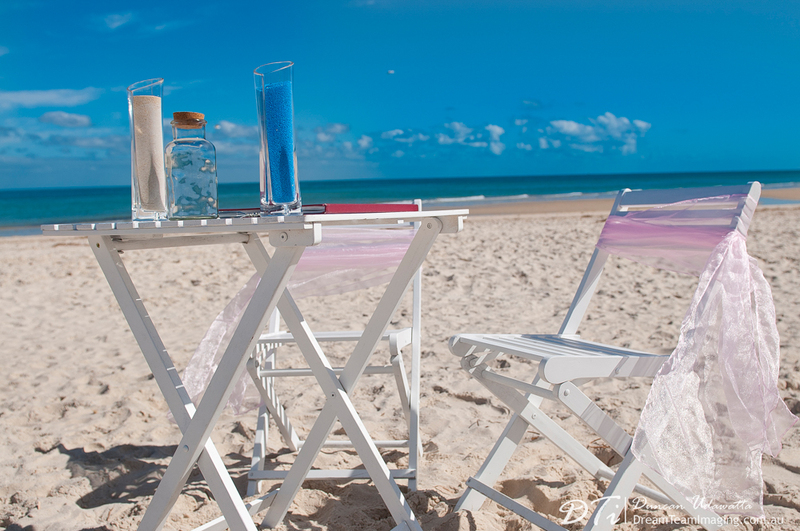 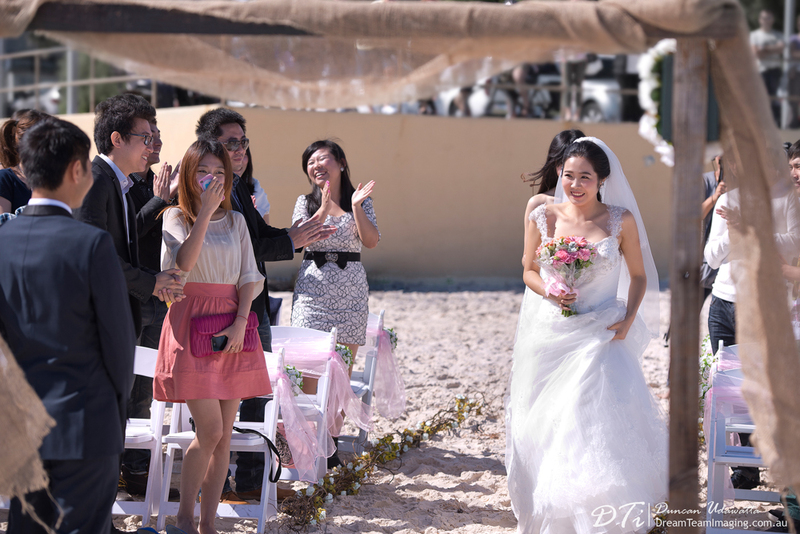 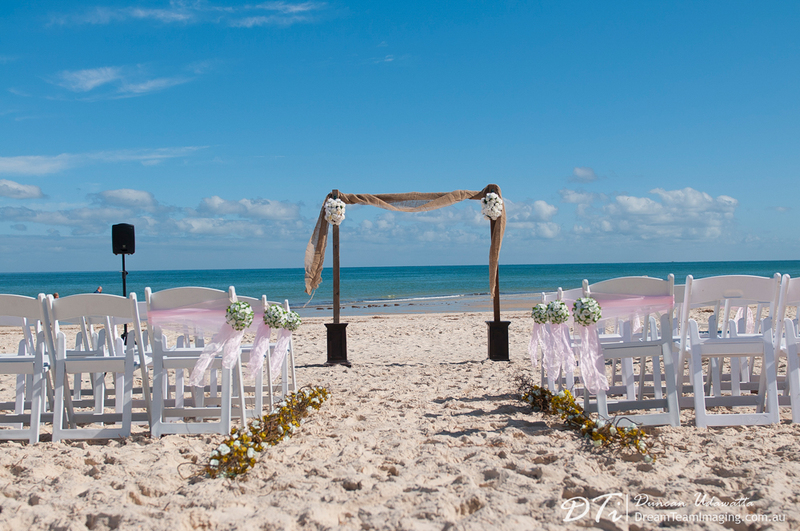 Once the formalities were completed, it was creative photography work with our couple along the beach. 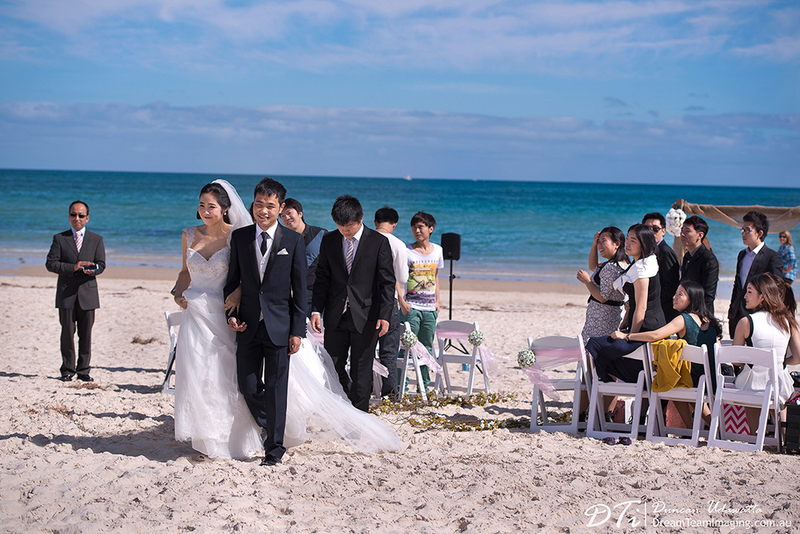 Thereafter, everyone headed for lunch at one of the popular restaurants in Henley Beach. 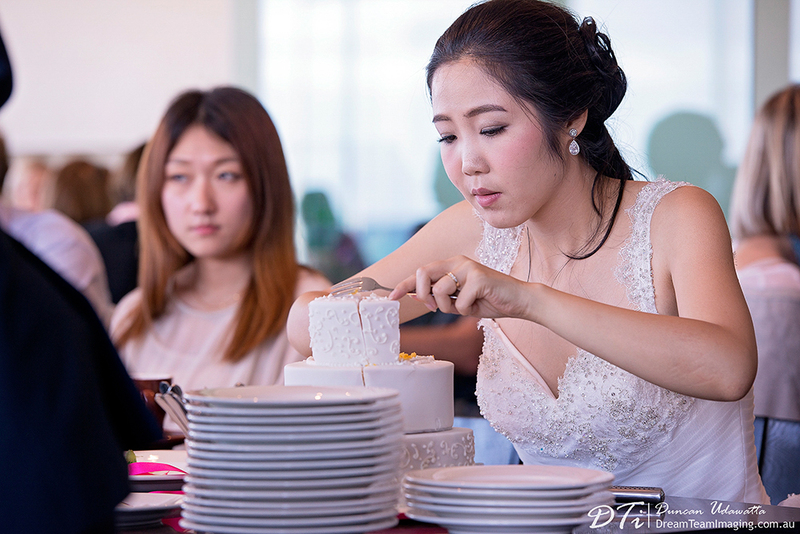 Lunch was followed by cutting of the cake. 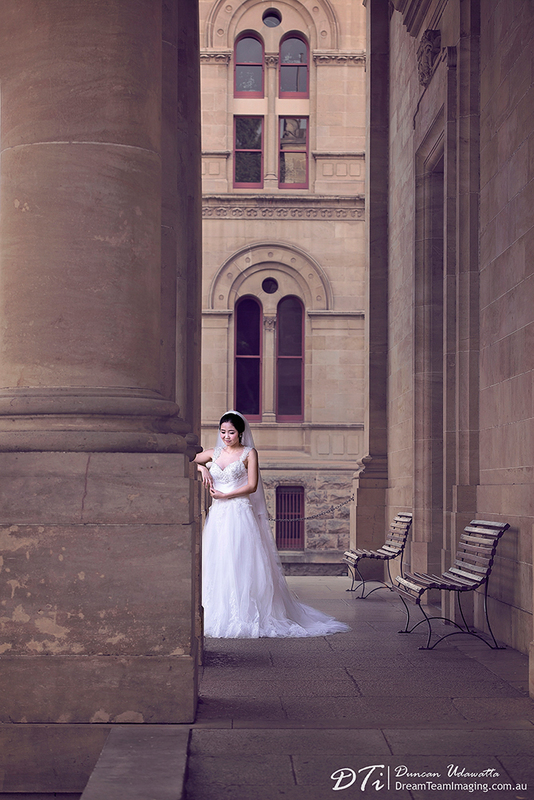 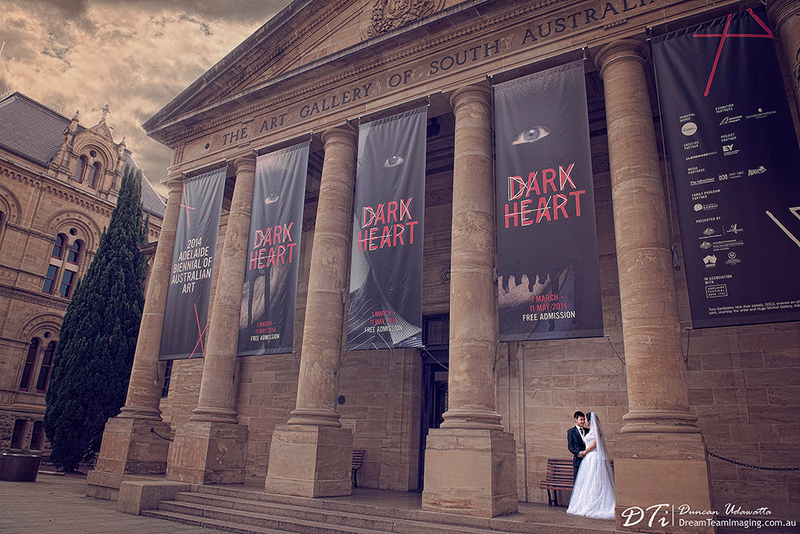 Later on in the afternoon, we set off to the city for another creative couple shoot. 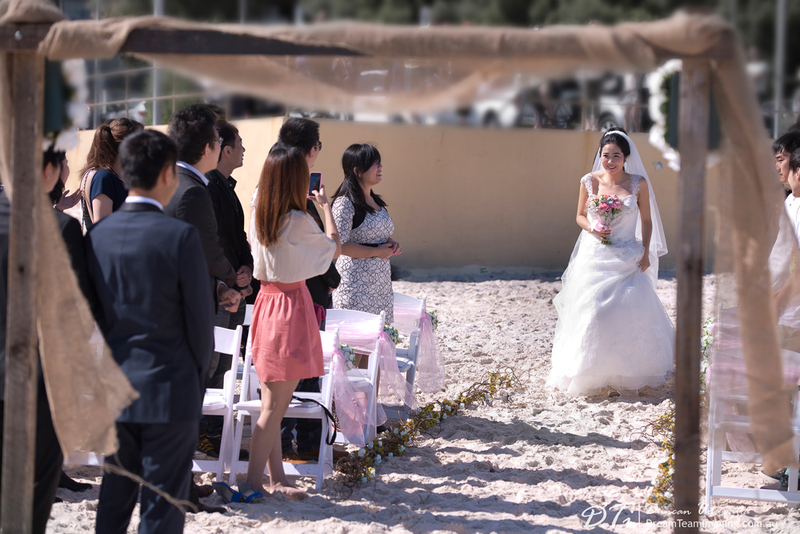 This was yet another heart warming opportunity for us to be part of and witness. 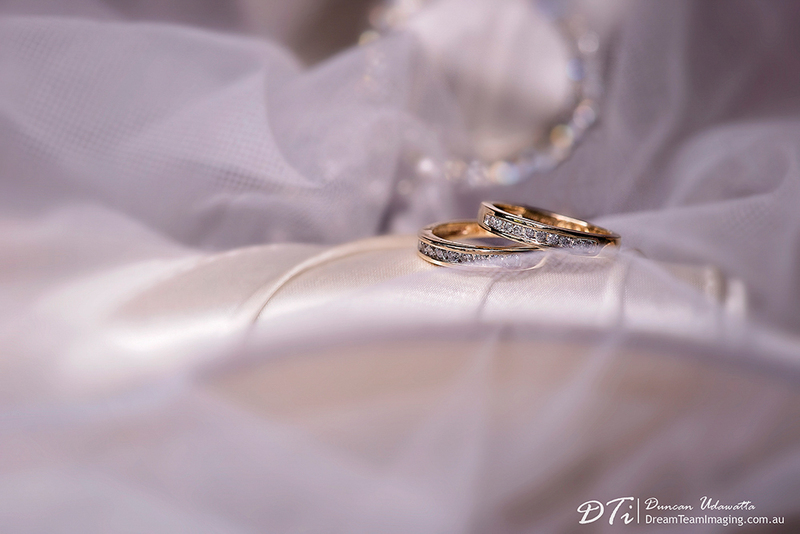 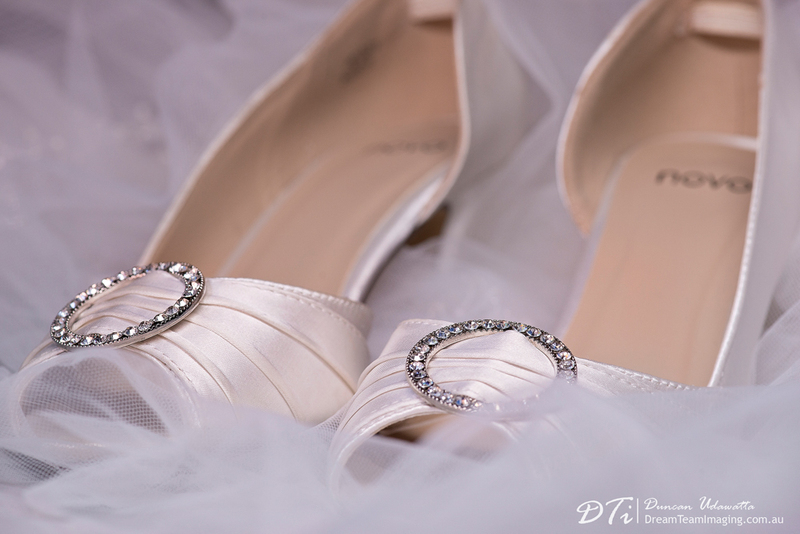 These precious moments were captured by Duncan & Ajanie from Dream Team Imaging. 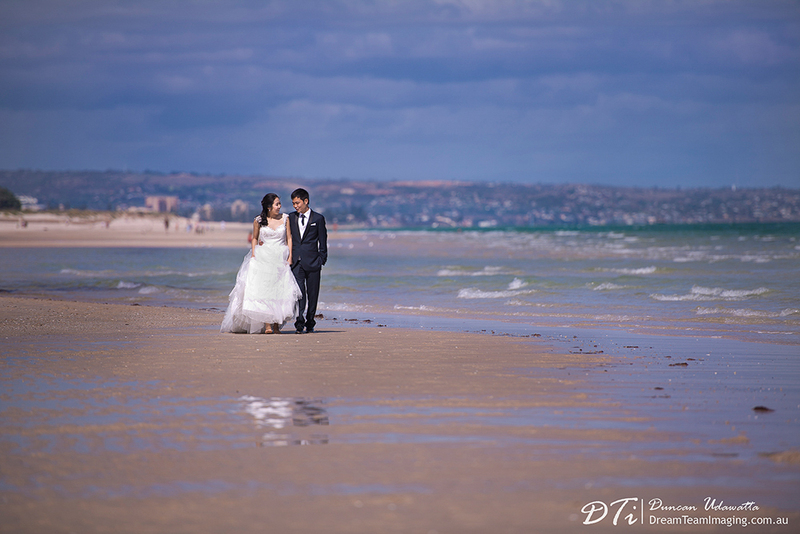 Henley beach Adelaide.